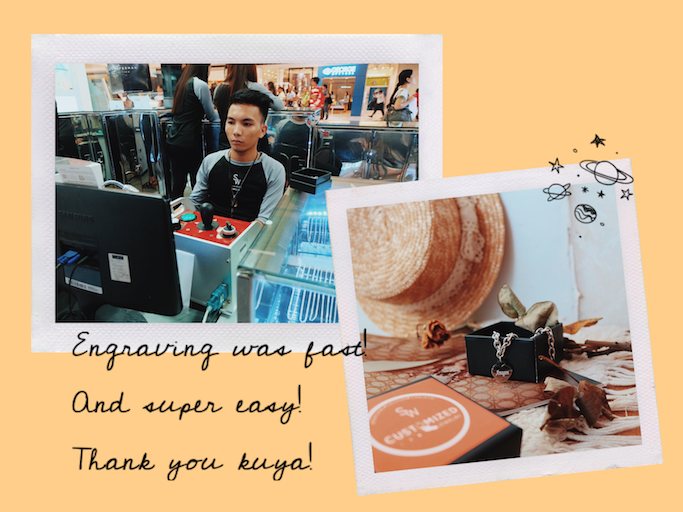 The leading retailer of sterling silver in the country, Silverworks has always been Filipinos' go-to silver jewelry store. Back in high school, my friends and I go here to buy a cute, new pair of silver stud earrings because of the good quality and affordable price range. The brand has evolved through the years, and has now become a part of our everyday stories. 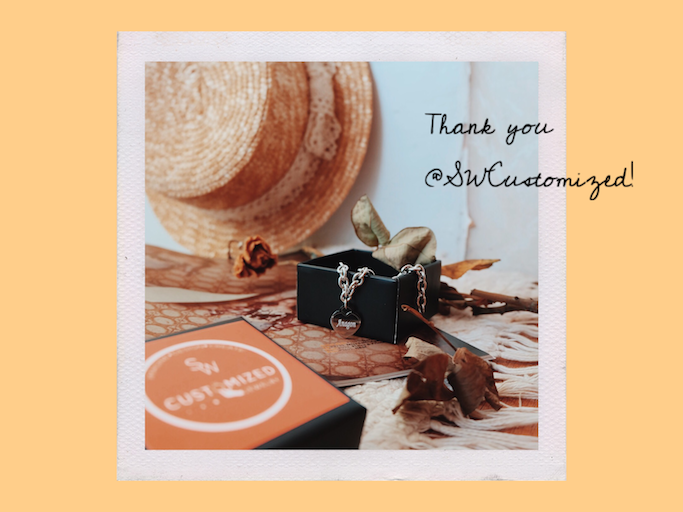 To make them even more personal and dear to us, Silverworks created a specialized brand that will allow you to IMAGINE, DESIGN, and CREATE the jewelry that you want: the SW Customized Jewelry store. SW Customized Jewelry offers a WIDE range of services and designs - it was quite overwhelming! Some of my favorites include monogrammed necklace, name rings, and engraving on dogtags. As early as now, I'm already planning on gifting these to some of my closest friends for Christmas! Haha! 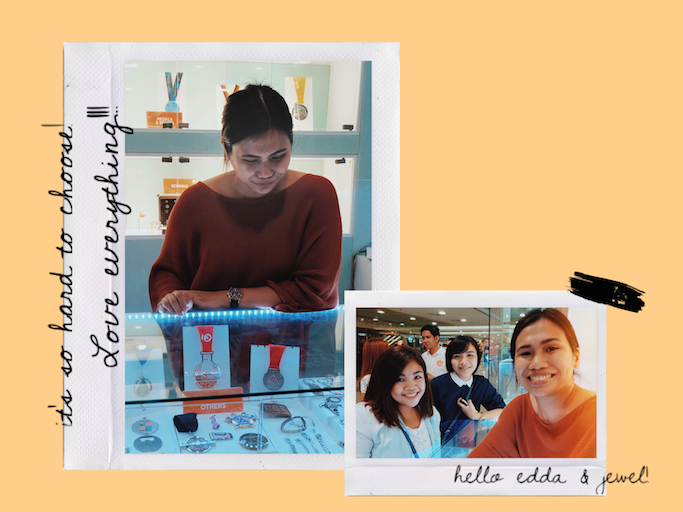 When I went to their store at the SM North EDSA, I am glad I was with Team Silverworks' Edda and Jewel. They helped me go through everything. I learned about the brand more, and their promise to provide the BEST for their clients: in terms of design, material, and quality. Aside from silver, they also offer steel, tungsten, and titanium jewelries to suite all their clients needs and preferences. A classic Silverworks service, SW Customized Jewelry can engrave your name, a word, or a quote to your pendant, charm, or dogtag. Here are some samples of their different types of engraving, which includes PHOTO engraving on your jewelry! Other than engraving, they can shape out a word ring for you! I like this with "love"! Of course, the possibilities are endless! 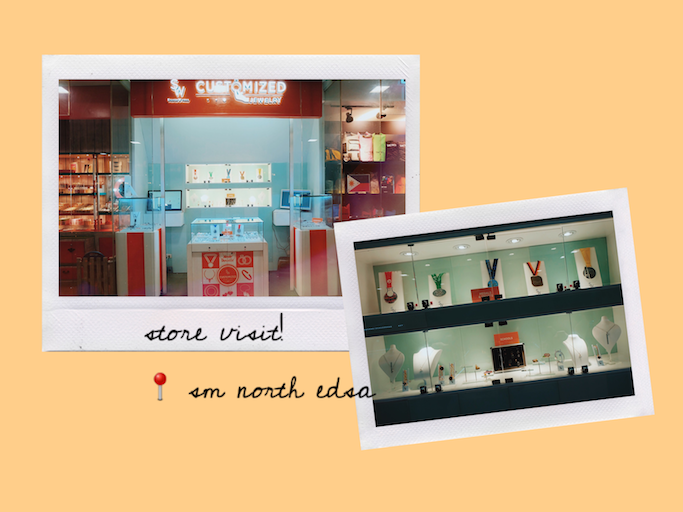 Inquire through their store or website about your design, and SW Customized Jewelry will make them for you. For their computerized engraving, it took LESS THAN 30 MINUTES of waiting time! 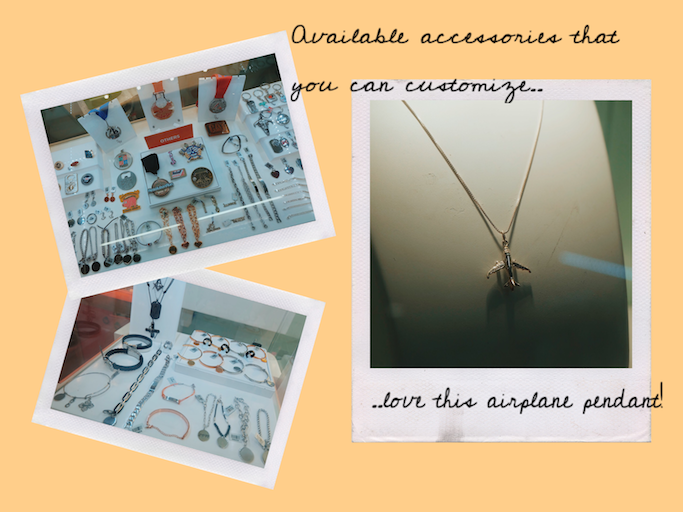 Have your own customized jewelry narin by visitng SW Customized Jewelry at the 2nd Floor of SM North EDSA, Main Building, or any Silverworks branches. To purchase online, visit http://www.silverworks.com/customizedjewelry. Want to try their text or PHOTO engraving services? 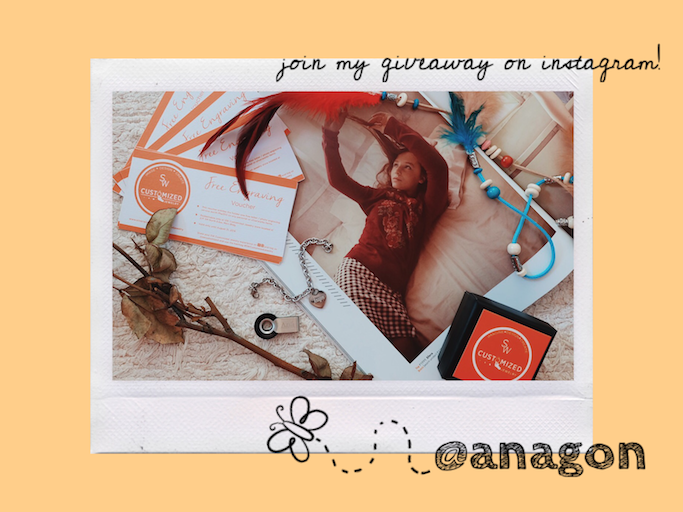 Join my on-going Instagram giveaway (@anagon) - I'll be having FIVE winners! Hi, I just wanna ask, on the price of the name necklace, is the chain of the necklace already included on the Php 600 starting price? Thank you.